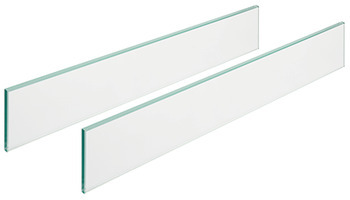 Height B = 59.5 mm (railing C) 91.5 mm (railing D)Lateral insert elements made from glass or metal are available for drawer side height M with railing C and railing D. (Insert element cannot be used for drawer side height K with railing D). 2 metal insert elements are required for 1 drawer. 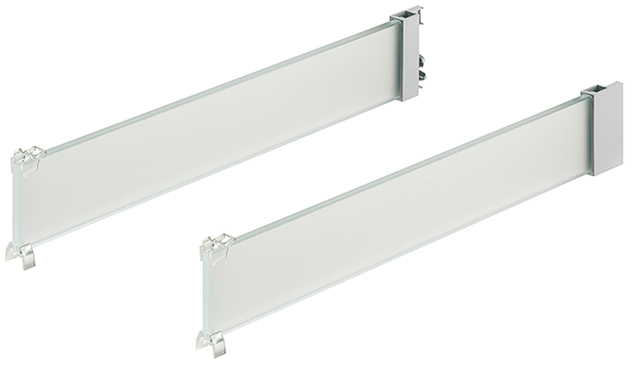 Support set must be used for installation.